Whether it’s a wedding or any other gathering, Watts Catering will have a chef on-board to provide a range of menus – breakfast, lunch, dinner, cocktails or canapes. Watts Catering takes care of your cuisine. Located at the d’Albora Marina, Concord, on the Parramatta River. The most professional service with the finest quality products available. “Watts Catering is primarily aimed to serve the catering needs of clients in the boating market although fixed land based sights also can be arranged. 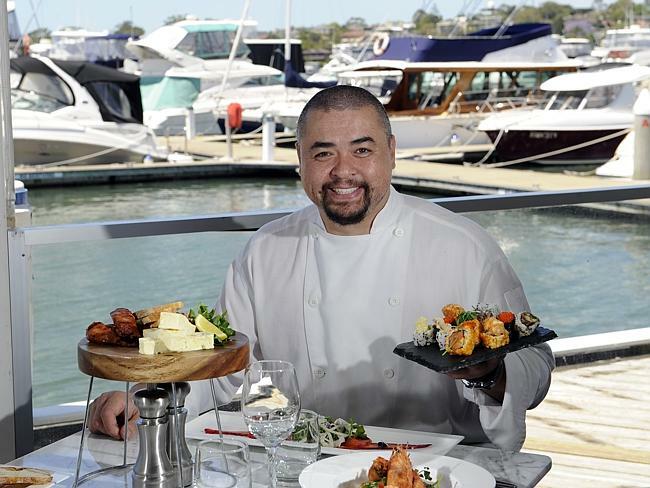 “I hope to grow this business over the next five years to encompass all of the marinas in the Sydney area, focusing on Australian product to create the ideal dishes for our clients. I have been cooking in the industry for twenty two years. I love what I do. Otherwise I would have left this industry long ago. It’s a hard gig. Late nights, long hours and standing on your feet for sixteen hour days. So what makes it worth while? The thing that keeps chef’s doing it, is seeing someone eat our food and really enjoying the taste and textures they are consuming. I have worked everywhere. From fine dining restaurants, large hotels, exceptionally big and busy restaurants, pubs, boats, remote locations, function houses to cafes and an up market kiosk. I now own my own business and I want to grow. In the end this is not about me, this is about my family. I want my children and my wife to look at me and feel proud in what I’m doing for them and for you, my customers.